Jessica Jones believes the dislike some students have towards math could change “if math could be taught through conceptual understanding, NOT through proper use of when and how to apply formulas.” Jones, who teaches middle school math at Gompers Preparatory Academy, had the opportunity to learn more about teaching for conceptual understanding of mathematics at this summer’s “Quantitative Reasoning and Early Algebra in the Common Core State Standards” summer institute. 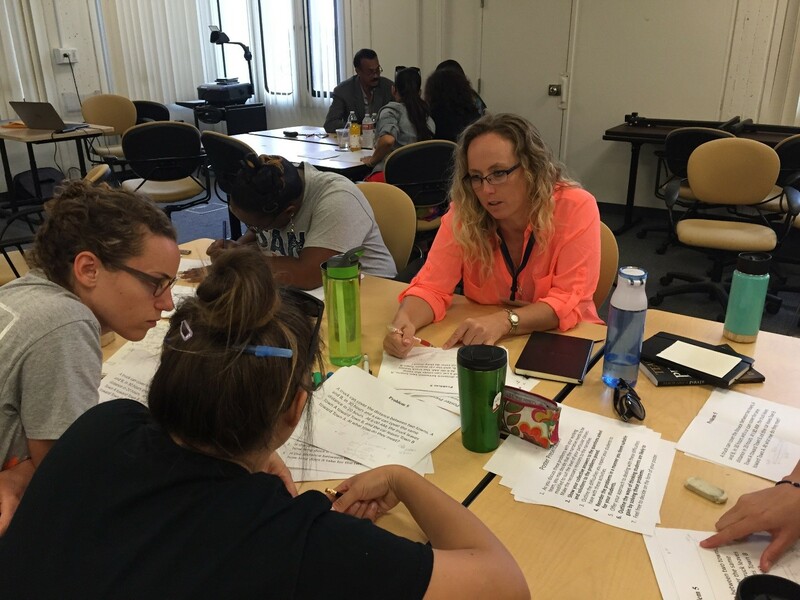 Developed specifically for fifth through eighth grade teachers, Math for America San Diego’s annual institute in July focused on quantitative reasoning, fractions and early algebra within the Common Core State Standards-Mathematics (CCSS-M). The week-long program addressed the critical need for better mathematics instruction and understanding of key math concepts in pre-high school grades. Dr. Guershon Harel, a mathematics professor at UC San Diego and MfA SD’s director of professional development, led the institute. Prof. Harel is an internationally renowned mathematics educator who has devoted his career to understanding how students learn mathematics, and the implications of those understandings for curricula, teacher preparation and professional development. 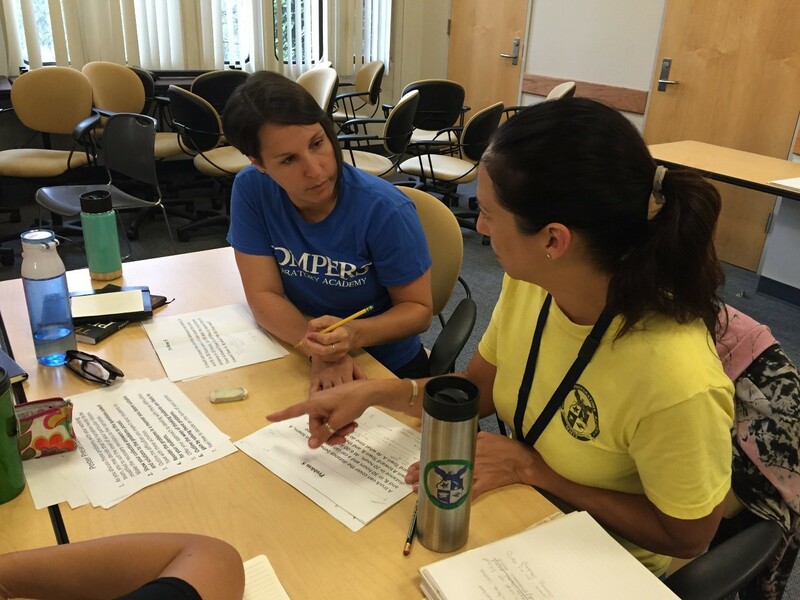 A group of 16 teachers from three charter schools and the San Diego Unified School District attended the institute, immersing themselves in applying the Standards for Mathematical Practice (SMP) for the Common Core State Standards (CCSS-M) to their grade levels. Earlier in the summer, Prof. Harel directed the seventh annual summer institute for MfA SD’s 14 fellows and master teaching fellows. Participants at the 12-day institute learned more deeply about systems of linear equations and built a stronger foundation for their own mathematical knowledge. 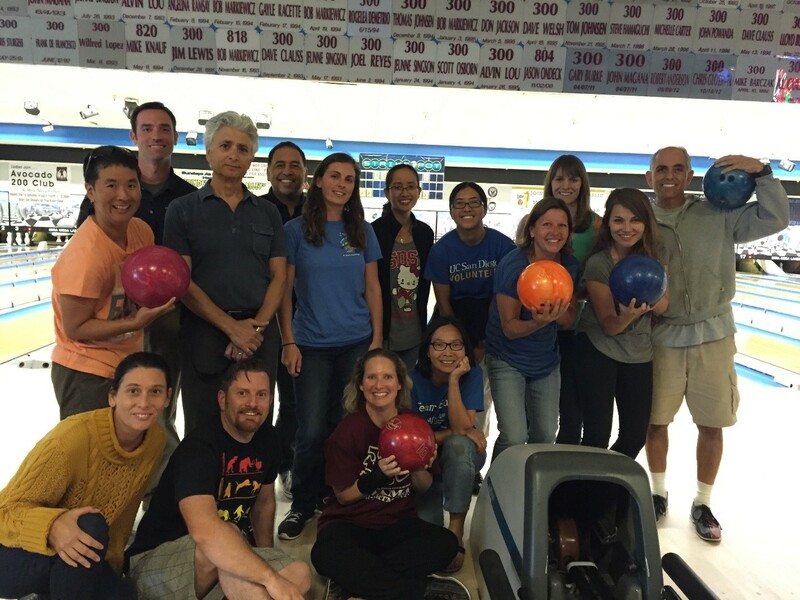 To celebrate completion of the institute, Prof. Harel and MfA SD fellows went bowling, where they mathematically figured out how to make the 7-10 split and how not to throw a gutter ball. Math for America San Diego is housed at the Center for Research on Educational Equity, Assessment and Teaching Excellence (CREATE) at UC San Diego. For more information on MfA SD’s teacher professional development programs contact Barbara Edwards at sandiego@mathforamerica.org.